Our St Petersburg Bus Accident Lawyer knows that riding a bus in Pinellas County can be very dangerous. Riding a bus can offer convenience to many, however traveling on a bus may also be dangerous due to the limited amount of safety features. Meant to hold many people and driven by someone you don’t know, St Petersburg bus accidents can change your life quite quickly. 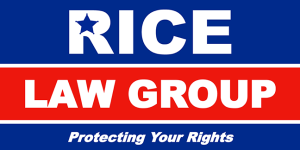 If you have been injured in a St Petersburg bus accident it is important to contact The office of Rice Law Group for expert legal representation. As a rider in a bus accident you have no control over the accident itself, however you do have full control in hiring the right attorney to represent you and make sure you are compensated for your injuries. Accidents on our St Petersburg roadways may involve shuttle buses, city buses, school buses, coaches and others. 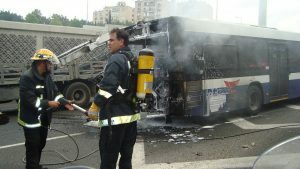 Bus Accidents can be minor or they can be catastrophic. When you or someone you love is involved in an accident, you need a Lawyer you can count on. The attorneys at Rice Law Group of St Petersburg are experts in Personal Injury Law and will use their expertise to make sure you receive the highest possible compensation for your injuries. Your attorney will make sure you understand all aspects of your St Pete bus accident case, and will inform you every step of the way. Damages will depend on circumstances which vary case to case. At Rice Law Group our St Petersburg bus accident attorneys have the expertise and knowledge to thoroughly investigate your accident. We understand how serious and life altering your injuries can be which is why we give you personalized attention from the time of your free consultation to the time your case settles. We offer a free consultation and will advise you on the best steps to take.